Humble, elegant, imaginative, quite simply an icon. 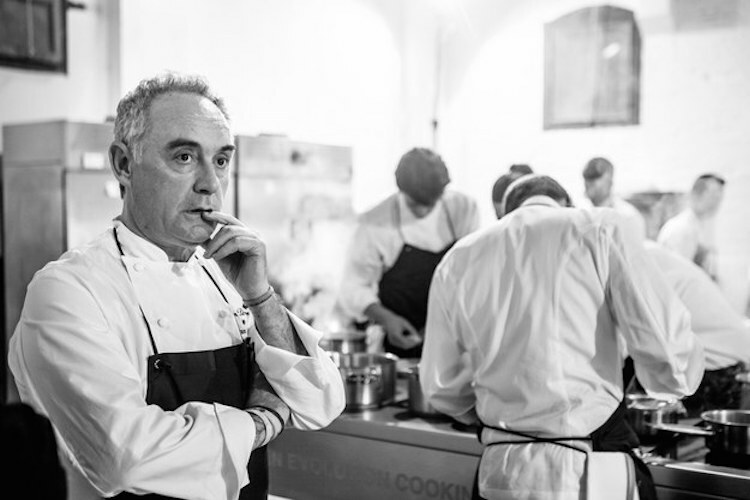 I had the honor of meeting Ferran Adria years ago at his brother’s restaurant “Tickets” in Barcelona. Amazingly, as I headed over to meet the Adria brothers I boarded my plane and who is sitting two rows behind me in coach, none other than the great Ferran. Could have been quite simply a coincidence, but I like to think that we are connected in some way or another. If that is the case I hope that some of his creativity, his lessons, and his general disposition rub off on me and all of us, because if that is the case, the world would be a better place. Below are some select quotes that I thought were fantastically insightful. There is a link on the bottom to check out a video of the full interview…..